Bishop Tim Smith began his ministry with the NC Synod-ELCA on August 1, 2015. 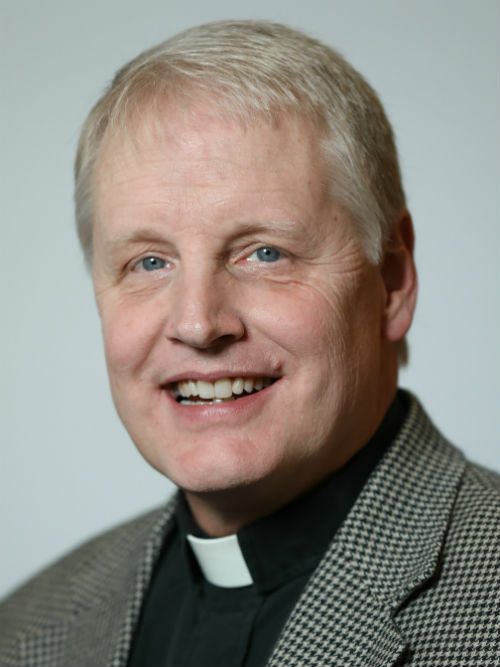 Bishop Smith is a native of Salisbury, N.C. and previously served as pastor of St Paul’s, Startown (1986-93), and Grace, Boone (1993-2010) in the NC Synod. Just prior to his election he served as senior pastor of Lutheran Church of the Redeemer, Atlanta. He is a graduate of UNC-Chapel Hill (M.A. ), Gettysburg Seminary (M.Div. ), and Drew University (DMin.). His ministry experiences include supervising 22 full-year interns, serving as Appalachian State University campus pastor, and being a featured preacher for Day 1 radio broadcast (formerly “The Protestant Hour”). Bishop Smith and his wife, Wendy, have three grown children: Matthew and his wife, Keri; Isaac; and Ruth and her husband, Tommy. They also enjoy spending as much time as possible with their three grandsons and one granddaughter. Leaders Learn & Leadership School, First Call, Discipleship, Youth & Family Min. Office Admin. & Supply Coord.